Dr. Asif Iqbal (b. 1975), Pakistani national, completed his first degree and masters in Mechanical Engineering from University of Engineering & Technology, Taxila, Pakistan. He completed his doctorate in Mechanical Manufacture and Automation in year 2006 from Nanjing University of Aeronautics & Astronautics, China. He has served a state-owned technical R&D organization in Pakistan for 7 years. Since 2010, he has associated himself with the profession of teaching and research. He has served leading universities in four countries as faculty member, namely, Eastern Mediterranean University (Cyprus), Dalian University of Technology (China), Air University (Pakistan), and King Abdulaziz University (Saudi Arabia) before joining Universiti Brunei Darussalam (UBD) in Brunei. He has currently been serving the Faculty of Integrated Technologies of UBD as an Associate Professor since August 2017. Furthermore, he has also been associated with Technical University of Dortmund, Germany and Nanjing University of Aeronautics & Astronautics, China as a visiting researcher. His research interests include sustainable manufacturing, high-speed machining, intelligent manufacturing, incremental forming, remanufacturing, process optimization, fuzzy modeling, and expert systems. To his credit are 40 journal publications, 7 chapters in edited books, and 13 papers in international conferences. His name is also listed in in Marquis Who’s Who in the World® as recognition of contribution in the field of Science and Engineering. 2. 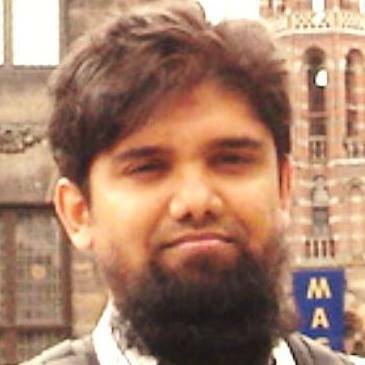 Asif Iqbal, Ning He, Liang Li, Naeem Ullah Dar; Simulated Annealing Assisted Optimization of Fuzzy Rules for Maximizing Tool Life in High-Speed Milling Process; Proceedings of 5th IASTED International Conference on Artificial Intelligence & Applications, Innsbruck, Austria, February 13-16, pp. 335-340, 2006. In-depth experience of performing and managing hi-tech manufacturing processes and accomplishing production goals.